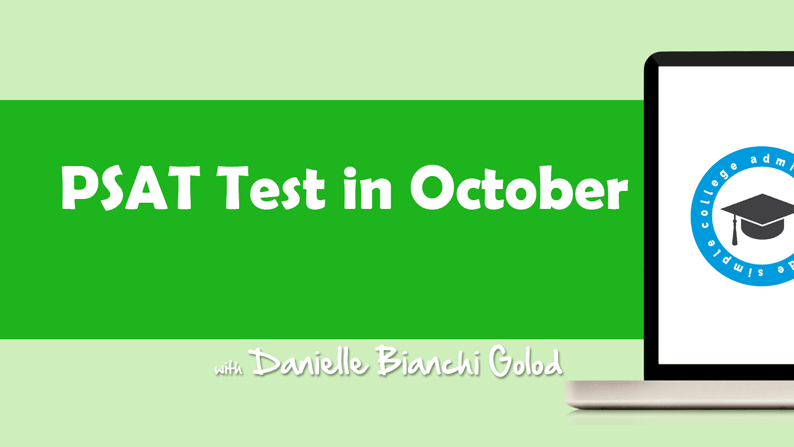 PSAT Test in October - Should I Take the PSAT Test in October? The PSAT is usually given in October for sophomores and juniors. While it is not necessary, students should take the opportunity to brush up on their PSAT/SAT skills before taking the test. Students may receive a National Merit Scholarship by scoring a high score on their PSAT. Each year some 55,000 high school students are honored in NMSC programs and more than 10,500 of the most outstanding participants receive scholarships worth a total of $50 million for college undergraduate study. Students can sign up at their individual high schools for the October PSAT.